It's a duel between the fire-breathing dragon and a powerfull wizard. Blocking the dragons' flames with his crystal-topped staff, the wizard sends up lightning bolts from his right hand. 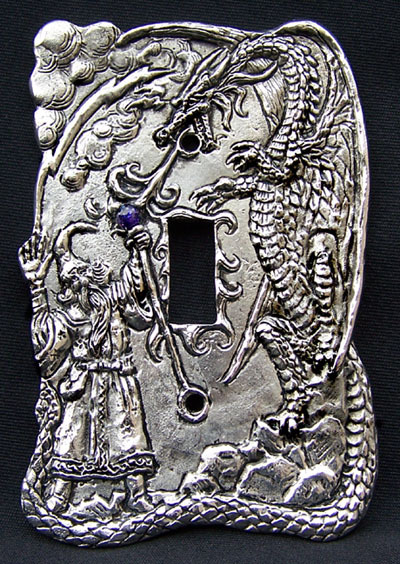 We make it by hand from lead-free pewter to fit any standard light switch cover.